Remember Ranbir Kapoor in Ye Jawaani hai Deewani? He wanted to travel around the world, he wanted to fly, swim, run and never stop! Two things that go hand in hand is travel and food. I bet anyone who travels a lot always searches for the most famous eateries of that place and Pizza-loving maniacs always search for the best Pizzeria. 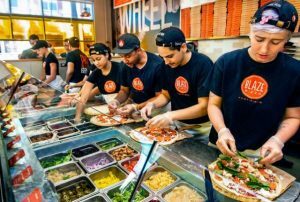 In the family of breads, Pizza has made a name for itself like no one else and Pizza lovers all around the world can go to any extent to taste the best Pizzas. So, wouldn’t it be a good idea to track the place through its Pizza instead of tracking the best Pizzeria of the place? The following list contains names of 10 places in the world you must visit if you are a true Pizza Lover. Naples tops the list of best Pizza cities around the world because it is the birthplace of this beautiful dish. Most of the Pizza places here are more than 100 years old and have been serving Pizzas to travelers and tourists since time immemorial. 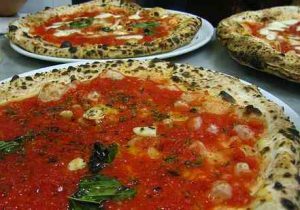 “Da Michele” and “Pizzaiolo del Presidente” are two of the best Pizzerias in Naples. The homeland of Pizza is like Mecca & Medina of Pizza lovers; a must visit place before dying! According to very recent rankings, Edmonton has come into the limelight for some of its best pizza places. Situated in Canada’s Western Alberta Province, Edmonton is famous for its historical landmarks. 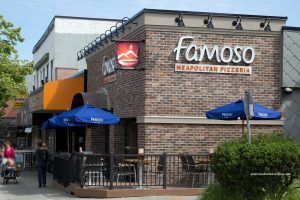 Pizzerias like “Famoso Neapolitan Pizzeria”, “Rosso Pizzeria” and “Tony’s Pizza Place” are few among the best Pizza places in Edmonton. Apart from its Pizzerias, Edmonton is also known for its active nightlife and is a cultural hub. Apart from its thriving casinos and shopping centres, Las Vegas is also popular for its Pizzerias. Las Vegas is known for its tourist attractions like “The Strip” and “Fermont Street Experience”. 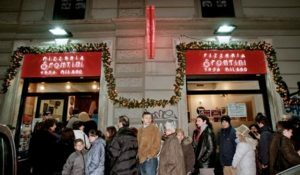 It is quite obvious for a place to flourish into one of the best Pizza making cities in the world when there are thousands of tourists visiting every year. 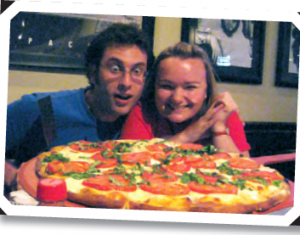 Some famous Pizzerias in Vegas are “Pizza Rock” and “Broadway Pizzeria”. For someone who loves parties and Pizzas, Vegas is the place to come. Also, don’t forget ‘What Happens in Vegas, Stays in Vegas”. Orlando must be in your to-visit places if you are more than just a Margherita Pizza lover. Pizzerias like “Pie Fection” and “Giordano’s” serve stuffed Pizzas and are very renowned for it. “Giordano’s” is also famous for its baked Lasagna. 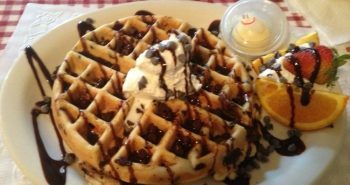 Visitors say that though the place has slow service, the wait is worth the dish. “The Red Oven Pizza Bakery” is another Pizzeria widely known for its thin crust Pizzas baked in wood fire ovens. Coming back to the home country of Pizzas, another Italian city to visit in search of exquisite taste is Palermo. This city has a rich background of history and architecture. Famous for its beaches, Palermo attracts many tourists every year. “Frida” and “Perciasacchi” are two among the best Pizzerias here. “Perciasacchi” is popular for its usage of ingredients which are local and organic. 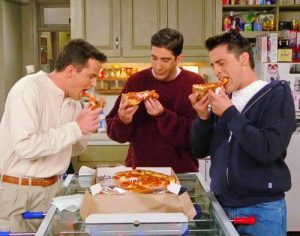 Remember Joey from the popular TV sitcom F.R.I.E.N.D.S saying, “Pizza, we want Pizza!”? Well, Pizza is one of the staple food of New Yorkers and thus more than half of American sitcoms have episodes with characters having a huge Pizza (most of the times Margherita!). One needs no introduction as to what a beautiful city New York is. Similarly, New Yorkers need no introduction as to which Pizzeria serves the best Pizzas. To those of you who don’t know, some of the best Pizzerias in New York are “Brothers”, “Denino”, “Di Fara” and “Lombardi’s”. Apart from Pizzas, New York is famous for its fast life, clubbing and expensive lifestyle! Sao Paulo may not be in every food pilgrimage list, but it should definitely be there in every Pizza lovers list. Restaurants in Sao Paulo are as modern as any other, and at the same time they stick to their roots. Chefs here like to blend their traditional and local ingredients with a tinch of modern flavor. 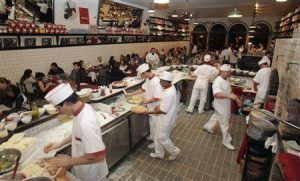 Apart from Brazilian Barbeque, Sao Paulo is also famous for its Pizzerias. 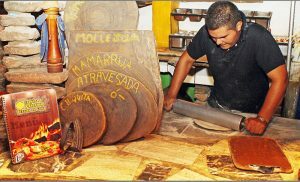 Pizzerias like “Veridiana”, “Braz Pizzaria” and “Quintal do Braz” are tourists’ favourite spots. In fact if you happen to choose “Braz Pizzaria”, then go for the limited edition margherita with fermented base! Milan, ‘The Moral capital of Italy’, is known for its world of fashion and design. The Fashion capital is also home to the famous painting of Leonardo Da Vinci, The Last Supper. Being a UNESCO World Heritage Site, Milan attracts millions of tourists every year. So, whether you are in a committed relationship with Pizza or not, Milan is a city you must visit. However, if you do happen to visit Milan, then don’t forget to grab a Pizza from “Maruzzella”! The chefs here say that their secret to being one of the best Pizzerias is their Pizza dough which is made in a rather special way. Isn’t it exciting that Venice is situated across a group of small islands that are linked by bridges and separated by canals? There is a romantic feeling associated with this city, and perhaps that is the reason its a popular honeymoon destination. It is said that Venice is a place where love blooms. Well, sure it does. Your love for Pizza! So, don’t be disheartened when you see love-birds all around you, because they may have found each other but you have find Pizza. 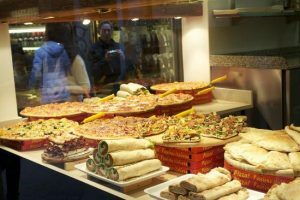 Venice is known for its cheap Pizzerias, and places like “Antico Forno Venice”, “Rossopomodoro” and “Gino’s Pizzeria” are highly recommended by locals and tourists. To those who thought Messi is the best thing about Argentina (after Maradona ofcourse! 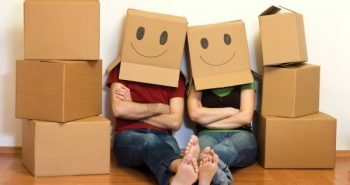 ), you have another thing to be happy about! 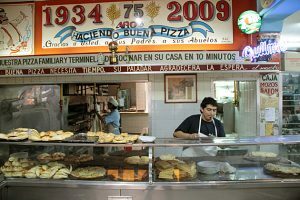 Yes, the Pizzerias in Buenos Aires are very well known for their perfect ambience and “media masa”. “Media masa”, also known as medium thick crust is light in the middle and crunchy in the bottom. A common complaint of tourists here is the cheese quality of Pizzas which is quite low, but if you know the right place then you can taste some of the best Pizzas of your life. “Guerrin”, “Las Cuartetas” and “El Palacio de la Pizza” are among the top Pizzaerias here, with amazing quality of Cheese!